At Flusso Consulting we question a business’s ability to survive an increasingly challenging future if not constantly assessing, adjusting and getting better at the way things are done. We understand that often business leaders may neither have the time nor the resources to independently assess all the moving parts of the business and identify where these opportunities are. The measurable solutions we offer our clients will, if effectively adopted by the business, have a direct and positive impact on profitability, revenue, costs, quality of service or product, and general work experience for your staff and clients alike. 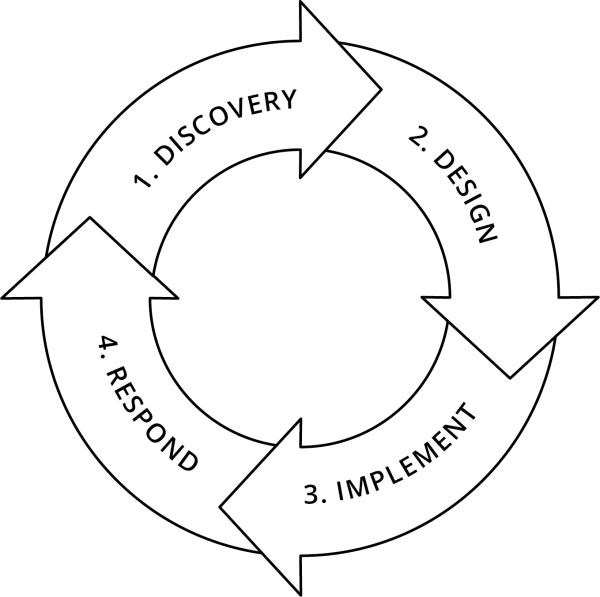 At Flusso we use a ‘Discovery, Design, Implementation and Response’ cycle Methodology that challenges the strength of business’s commitment to innovate, to disrupt, to develop and retain talent and to create a flexible organisational structures, processes and systems that delivers a level of agility necessary to navigate challenging internal and external demands, and increase revenue and profitability. In order to develop the best solutions that will deliver on the desired performance expectations for your business, we need to first understand all the current realities. We embark on a period of discovery, asking questions, lots of questions to understand how things are, or are not working, in your business. Once we have completed the Discovery phase of the programme, we set out to deliver a thorough operational diagnostic report of your business. The report unpacks where problems exist, why they are occurring and what opportunities this identifies. We prioritize these opportunities, develop strategies, and define success metrics against which success or failure of the changes will be measured. Once sufficient time has passed that has allowed the implemented changes to have been tested, we loop back to gather data to support the degree to which it has delivered the desired change for your business. Based on the results, strategies are reworked and implemented. Before any changes are implemented, we partner with our clients to develop tailored adoption strategies for increasing the probability of the operational changes being adopted. Its then that changes are rolled out and managed by internal change leaders in your business.